Thank you to everyone who have responded to the Screenworks Shaping The Future survey. This will help us shape long-term direction for Screenworks and to identify how we can continue to best support you. Here is a snapshot of what you have told us so far. 1. Networking opportunities & events is the most valuable Screenworks benefit. 2. Making a living out of doing something that you love is the main motivator that drives your interest / commitment to the screen industry. 3. The most popular day for Screenworks to hold our events are Fridays. Does this reflect what you want from your Screenworks in the future? If it does (and you haven’t already completed our survey), you should get online now and support what others are already telling us. 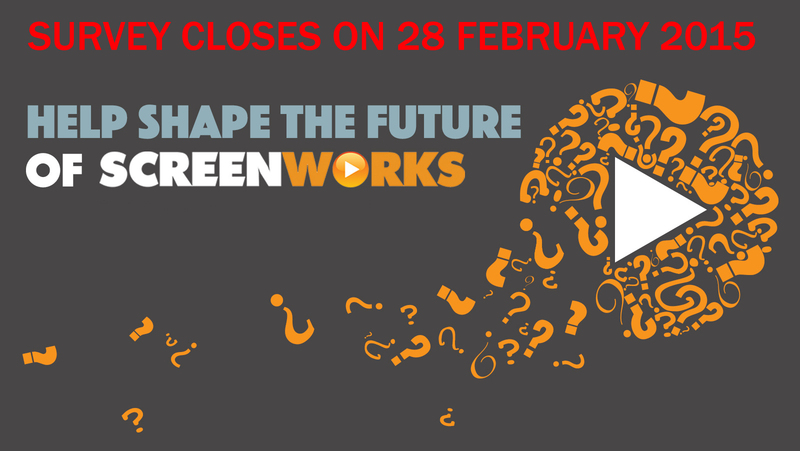 If it doesn’t reflect what you want from Screenworks in the future, make sure that you complete our survey before 28 February so that your voice is heard. Our survey will close on Saturday 28 February 2015.